Utilize Goal Development Strategies to Achieve Improve Results and reach new levels of performance. Leveraging concepts from The Compass Approach to bring about change and improved results. Our results-focused approach positively impacts the individual and the entire organization. We provide the catalyst to help organizations establish directional goals and implementation plans. In addition, we work with individuals and organizations to identify and incorporate the behavior changes necessary to achieve improved results for themselves as well as the organization. Achieving success as an individual or an organization relies on establishing appropriate strategies and goals. However, the success of the strategy is determined by the ability of the individual(s) or organization to recognize the appropriate behavior changes that will enable them to achieve the desired results. Headway Strategies Consulting works with our clients as partners to help them achieve an improved level of performance from what they experience today. We are committed to developing programs that are responsive to the unique needs of our clients while maintaining the appropriate level of confidentiality for everyone involved. John views himself as a Business Change Agent and Project Manager in his role as President/Owner of Headway Strategies Consulting. His goal is to provide advisory assistance to individuals and organizations to address various organizational and IT issues through customized offerings. 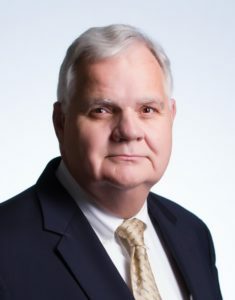 John brings over 40 years of experience working in different industries such as retail, manufacturing, distribution, insurance, aerospace and defense, and various services organizations in management or consultative roles. He has deep experience with developing, implementing and managing systems and processes. This experience has provided him with a unique perspective on people, process and technology associated with overall business operations that he can provide to his clients. . He received his Bachelors degree from the University of New Hampshire with a concentration in Organizational Behavior. Later John received his MBA from Case Western Reserve with a concentration in Management Information Systems. These recording can be accessed through the Thought Leadership tab. Contact us to learn more about how we can assist you in achieving the results you desire. © 2019 Headway Strategies Consulting. All Rights Reserved.